The Liquid Ate Her (theliquidateher.com) is a website that attempts to give visitors access to the most useable and useful consumer level home design software available, and this blog is about not just these software programs but also comparisons between various software programs and even design software that is not home design but just drawing or garden software. MacDraft Professional is the best of the 2D Mac CAD programs, Interiors Professional is the best of the 3D Mac Interior Design CAD programs, and Ez-Architect is the best of the 2D Windows XP and Vista and Windows 7 home design programs, in our opinion. We have been selling home design programs longer than anyone else, anywhere, so we figure that if we don’t know what’s good, who does? CAD software is computer aided design software. Things have come a long way since the 80s when AutoCAD was for the professionals and engineers, Design Your Own Home (Architecture, Interiors, Landscape) was for consumers, and MacDraft and PCDraft were for both. Most consumer level software has little true AutoCAD compatibility, nor does it need it, nor do the consumer level software buyers care. Interestingly enough, MacDraft Personal Edition and MacDraft Professional are a pair of Mac programs that illustrates this split between professional and consumer level CAD software, in that MacDraft Personal Edition is for the consumer and has no AutoCAD compatibility, while MacDraft Professional is fully AutoCAD compatible. “Design Your Own Home” was actually trademarked by the first company to program and sell consumer level CAD software, Avant-Garde Creations. The owners were predicting that the growing do-it-yourself and self-help trends in American society would find an immediate partner in the home computer boom. And that’s exactly what happened. Computers are the ultimate empowerment device, and millions of people have been empowered to design their homes with this tool, rather than making little pencil sketches of dubious usefulness. 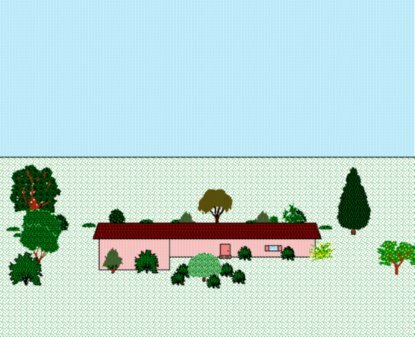 “Design your own home” was the true mindset of millions of consumers who soon learned just how handy their home computers were to empower vast amounts of computer aided designing of anything and everything. CAD drawing software can mean anything from a simple computer-based paint or drawing or graphics program like ImageForge, Irfanview, or Paint, to expensive CAD drawing software or simply CAD software that engineers and professional draftsmen, as well as some architects and builders, and all CAM and CAE professionals utilize in their work. Like AutoCAD, for instance. Since MacDraft Personal Edition is for the consumer and has no AutoCAD compatibility, while MacDraft Professional is fully AutoCAD compatible and has layers and can make very large plans, it can be said that these two programs have all bases covered in the Macintosh 2D computer aided design drawing software arena. Since theliquidateher.com is the newest distributor of MacDraft Personal Edition and MacDraft Professional, we needed a way to celebrate this fact with a flourish. So as a way of launching our distribution of these programs with a bang, if you buy MacDraft PE or MacDraft Professional from our site, we will give you FREE our 2D Home, Office, and Landscape Library—a $49.95 value! (It has over 1700 objects conveniently organized into MacDraft-compatible libraries.) And you don’t even have to sit around tapping your fingers waiting for a CD to go through snail mail. It’s a download. This is not just a serious enhancement of MacDraft, it also opens up both interior design and landscape design for MacDraft buyers because of the unique “2 and a half D” near-3D objects it contains. In case you progress from being a consumer needing consumer level CAD software to a professional needing even more capable professional level CAD software, there are update policies in place so you can jump from MacDraft PE to MacDraft Professional with ease. In the Windows arena, there is the very popular Ez-Architect to fill consumer level architecture and interiors CAD software needs, and the very popular MacDraft PE fills these needs for the Macintosh. So as far as CAD programs go, we’ve got our bases covered. Our newest Windows offering is Landscape Vision, an XP and Vista and Windows 7 compatible landscape design program. Whether you wish to refer to these 2D software programs as drafting CAD, drafting software, or CAD software, they will fill your CAD drawing needs nicely. To back up the popularity claim, check out the bottom of this Ez-Architect page, and then read the following unsolicited review that came in from Chris Westhead of Scotland today: “Ez-Architect is just brilliant! If you need a testamonial, please feel free to use my name.” Landscape Vision’s popularity can be seen here. And MacDraft’s popularity can be quickly discovered in this MacWorld review. Note that MacDraft can not only empower the graphics designer and the artist, but the engineer and draftsman as well. 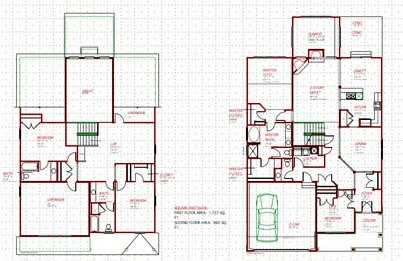 The area we’ve always emphasized is home design, and we tend to think of this type of CAD drawing software as home design software, so we think of the MacDraft program as mac home design software, but it can do so much more! Use it like a graphics design program or paint program to create brochures, signs, artwork, greeting cards, etc. Design to-scale inventions or do engineering drawings of just about anything. You name it! Just with respect to home design alone, with the aid of either MacDraft Personal Edition or MacDraft Professional and our FREE 2D Home, Office, and Landscape Library you’ll find that you can do Architectural Design, Interiors Design, and Landscape Design, as we mentioned, even though you figured you would not be able to go beyond home design when you bought the product.